As a cat owner, owning an auto litter box for your cat is probably like a little dream come true. You get to enjoy life with your cats, without the need to scoop the litter twice a day! What more can a proud cat parent ask for? But just like with any other things that sound over promising at first, you’re probably thinking – there must be a catch. And of course, there are some small risks and negative sides you should know of, like for instance the fact that some cats simply don’t like automatic litter boxes, they don’t like the change, they’re simply not willing to adapt to a new system, and there’s nothing you can do about it. But when it comes to the actual benefits of changing the old fashioned litter box to a new automatic version, the list is endless. And you’re not the only one to benefit from it, but also your cat, your kids, your spouse, your other pets, basically the whole household will appreciate the change. 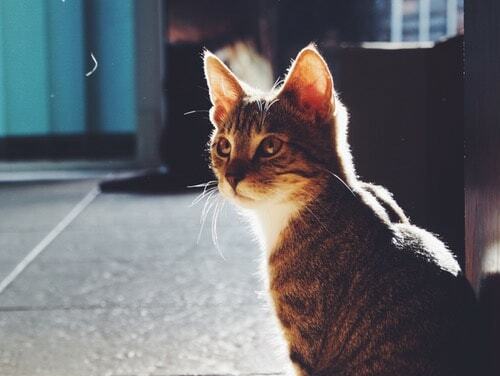 If you are still not fully aware of exactly how (and how much) getting an automatic, self cleaning litter box for your cat will change your life for the better, keep reading to learn more on the main benefits. The first and main reason why you should be considering changing the old litter box to an automatic version is that you won’t have to pick up a scoop again. This means a constantly clean litter box for your cat and no more manual scooping on a daily basis for you! The way those automatic litter boxes self clean themselves is that they come with a sensor that activates the self cleaning once the cat has left the litter box. Of course, depending on the model and how advanced it is, you might have to do a little bit of cleaning from time to time and to eventually throw out the bag of scoop once it’s full, but it’s nothing compared to the regular twice a day scoops you’ve been used to. Every time your cat has used self-cleaning litter box, the box will dispose the litter into a plastic bag, and once the bag has been filled all you will need to do is throw it in the garbage. Easy as that. 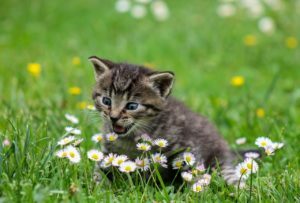 You already know that any contact with your cat’s feces and urine is bad for you and unhealthy, since every time you scoop the litter box you’re being exposed to ammonia, bacteria and other infecting agents. Getting a self cleaning litter box means that you will reduce your exposure for 70-100%, depending on how advanced the model is. If the litter box comes with a self flushing mechanism, you won’t have any contact or exposure anymore and if it comes with a rotating mechanism all you’ll need to do is pick up the bag and throw it from time to time. The third option is an automatic litter box with a rake, which will minimize the need of scooping for roughly 70%, which is still a lot. 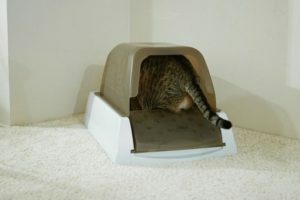 The fact that automatic litter boxes self clean themselves right after your cat has left the box means no more waste sitting in the box until you scoop it, which can sometimes mean hours or the whole day. This incredibly reduces the odor that comes out of the litter box. Of course if you wish to eliminate the odor completely you’ll have to help the litter box by cleaning it completely from time to time, by buying a nice quality litter that doesn’t smell as bad as the cheaper ones and by getting high quality food for your cat which will mean less stinky feces. Admit it, sometimes it’s so much easier to get rid of bigger amounts of litter when clumps fall apart spreading around the box, or even all of it sometimes, when manually scooping. Well a self cleaning litter box doesn’t have any difficulties with disposing only soiled litter, which means that you’ll need to change the litter less frequently since it will last longer. Some cat owners with self cleaning litter boxes claim that they now save up to 50% of the money they used to spend on litter! Depending of the model you decide on, with a self cleaning litter box you can travel for the weekend, or even longer periods of time like a week or even 10 days, without worrying about your litter box at home. 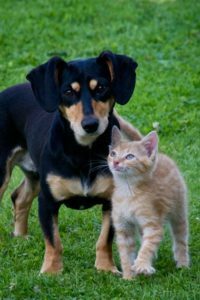 Of course, you will still have to ask a friend (or a cat-sitter) to make sure your cat has food and water, but they won’t have to scoop the litter box anymore, which to be honest is the main reason your friend always avoids taking care of your cat, especially for more than a few days. The more cats you have, the happier you are, but the more scooping you need to do. So if you’re a multi-cat household you’ll probably benefit from the self cleaning litter box the most. You’ll just have to be careful to choose a model that has been designed to be used for more than one cat, since some of them are specially designed to be used by one cat only. Of course, the more cats using the box means that the plastic bag will get full faster, but when compared to actually scooping the litter manually more than twice a day, frequently throwing out a plastic bag is a walk in the park.